New for 2016 Pool heating has been upgraded to electrical system expected min 26-28`c all year, this will make the pool usable all year, as opposed to solar heating systems that will work in strong sunlight meaning the pool may still be too cool to use at the start and end of the season. (We know because we have had the below solar system installed since 2011, although an improvement in October and March the pool was still very cool). The problem with outdoor swimming pools is the fact that they are only at a comfortable temperature for 4-5 weeks at the height of the summer. 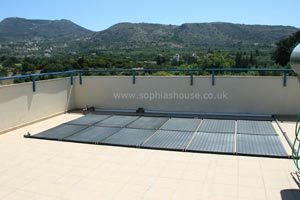 We installed a solar heated system for the pool at Sophia’s House, this type of heating having the environmental benefit over other pool heating systems in terms of carbon footprint by using renewable energy to heat the private infinity style swimming pool. This method of solar heating can increase the temperature of the pool by about 4-7 degrees, which doesn’t sound a lot but makes a great deal of difference when using the pool in the early or later part of the holiday season, as opposed to using a pool without solar heating. 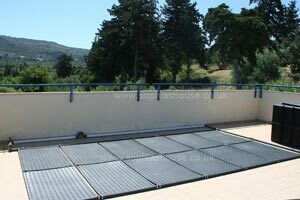 The system works by pumping the water from the pool through the solar absorbers situated on the upper sun terrace, the water is heated by the sun and then pumped back into the pool. sensors on the roof and the in the pool system. 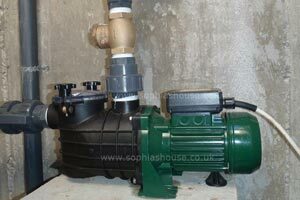 The system is piped into the main pump and filter circulation system. 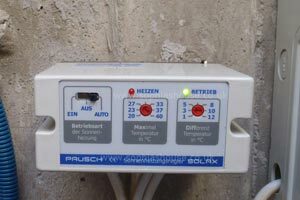 The controller measures the temperature in the solar panels and only switches the circulation on when a preset temperature differential has been reached. 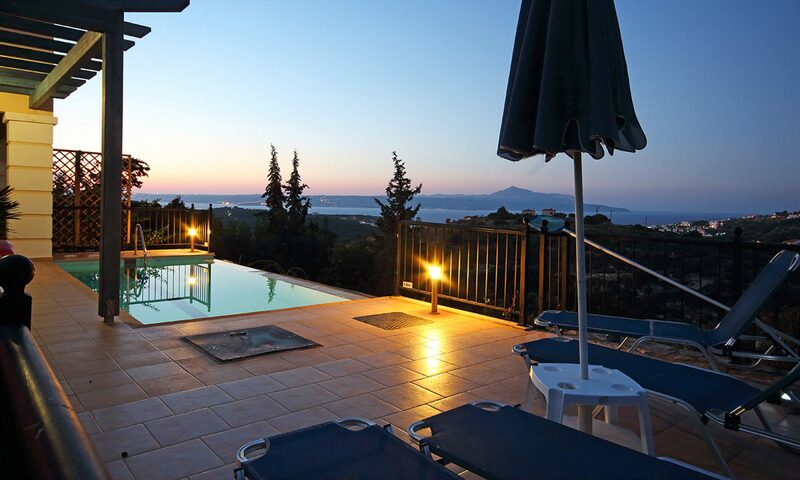 There is also a maximum temperature setting so as not to allow the pool to get too hot. We tested the pool at the beginning of May and were pleasantly surprised at the how warm the temperature was. When you are actually in the pool you can feel the warm water emerging from the jets at the bottom as it returns to the pool. We first installed the system in 2011 and have since doubled the number of solar panels on the roof, the supplier says this is overkill but we wanted to ensure maximum benefit possible was achieved especially on days early and late in the season when the sun is not as strong.